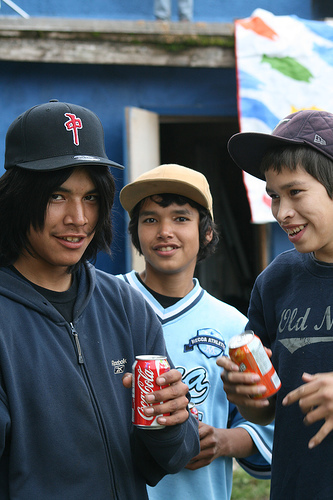 Started in the summer of 2005 by volunteer Chris Gee, the Smithers Community Bike Program has grown in leaps and bounds. This is the ‘little program that could’ - with minimal money and tons of community heart, rusted chains and bent frames are transformed into community cruisers. 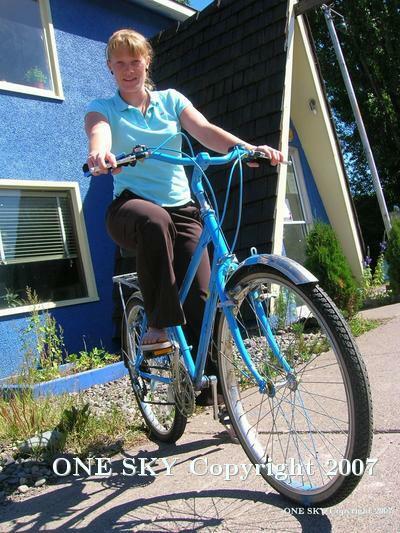 The Smithers Community ‘Blue” Bike program encourages citizens to ride around town to do their errands instead of driving. 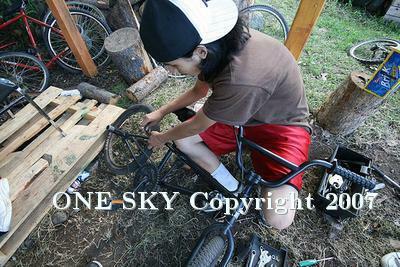 People in the Bulkley Valley donate bikes, we fix ‘em up, and get them back out into the community. As outlined in the Smithers Community Energy Plan, transportation is our primary form of greenhouse gas emissions. Free bikes around town are a way of encouraging people to reduce their energy footprint - and providing transportation to people who need it. This program could not run without volunteer effort and community support. In 2009, we were fortunate to receive a large donation of used bikes from Tom Powers, and we would like to thank the Town of Smithers for its generosity regarding long-term storage for the bikes. Josh Palmer generously donated his time and provided his expertise to mentor our two summer students on the ins and outs of bike repairs. Our hubs deserve a big “thank you” for supporting our program. We also received assistance from COB and McBike for the purchase of locks and helmets, and support from Service Canada for two summer student positions. One Sky extends a huge thank-you to all our donors and volunteers who help keep this program running! We will be accepting bike donations again in the spring of 2010 and hope to offer another Service Canada summer student position. If you are interested in the program, please give us a call!